Alexey Ulyukayev, Russia’s Economic Development Minister. 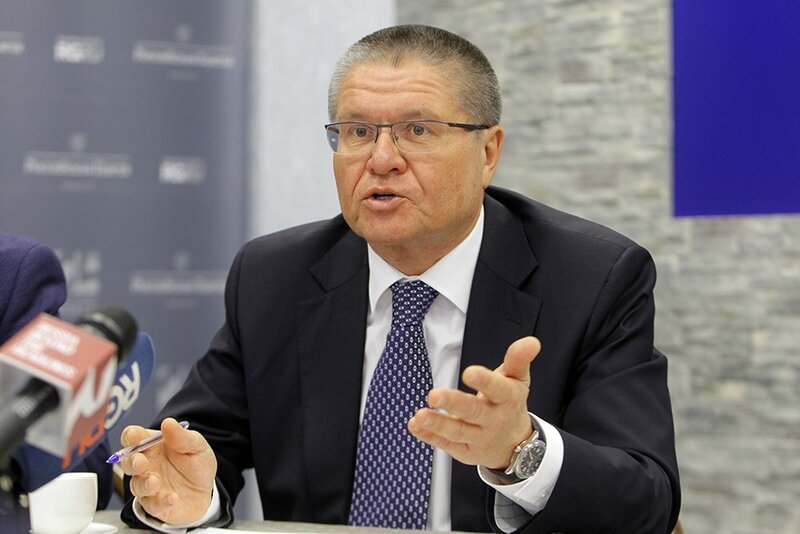 Alexey Ulyukayev, Russia’s Economic Development Minister, speaking on the eve of the BRICS summit in Goa, told RIR about the development of cooperation within the framework of the association. What ideas on the enhancement of cooperation within BRICS is Russia bringing to the summit in Goa? BRICS is not aimed at surprising the world community, creating new institutions every year. At the moment our main task is to organize the work of the already existing formats. The main emphasis will be on practical implementation of current initiatives. As prospective areas we see e-commerce, expansion of opportunities for SME development, including creation of a special electronic resource for small and medium-sized companies, increasing SMEs' access to public procurement and the procurement of large corporations, as well as the exchange of experiences on implementation of the national "single window" projects. China has suggested an interesting topic – establishment of a BRICS cooperation mechanism in the field of intellectual property. We also strongly support the initiatives of India in the area of ​​trade in services and the elimination of non-tariff barriers to trade. The implementation of these initiatives will significantly advance the creation of an innovative economy and significantly strengthen the trade and economic ties between our countries. Last year in Ufa, the leaders adopted the Strategy for BRICS Economic Partnership. What was done during the year? This is a difficult, complex document, the implementation of which requires coordinated work of different departments both at the national level and within the BRICS summit. On the economic track, we are building cooperation on e-commerce issues: on Russia’s initiative, a second expert dialogue is being held where representatives of government and business will try to bring together our countries’ approaches to the very essence of the concept. All BRICS countries are betting on small and medium enterprises in South Africa, and a special ministry has even been created. While developing this theme, Russia came up with a proposal to expand the access of SMEs to public procurement and the acquisition of large corporations. We hope that Russia's positive experience will be useful for our foreign partners. After long discussions, we have been able to agree on the basic contours of the future of the BRICS mechanism on intellectual property cooperation, progress observed in the area of services trade, elimination of non-tariff barriers to trade, standardization and many others. In general, the strategy has given impetus to the "revival" of the agenda and filling it with practically promising projects. On which international issues do you think that BRICS has become a global player, or is close to this status? Where can it "dictate its terms"? BRICS does not seek to dictate terms. All five countries have high moral authority in the international arena. This is one of the most powerful instruments of our influence on the decisions taken on the most pressing issues on the global agenda. The "Five" are committed to seek support, acting in the interests of all developing countries. For example, in the framework of the G20, when discussing the reform objectives of the international monetary and financial system, our countries are not acting alone, they have some serious group support. This includes Argentina, Mexico, Indonesia, Egypt, Saudi Arabia, etc. Much attention is paid to cooperation on food security, energy, manufacturing, ICT, innovative development and many others. The new Development Bank aims at cooperation with other financial institutions, including the World Bank, AIIB and the Eurasian Development Bank. So the BRICS has become the centre of attraction of like-minded people, who favour more equitable international relations, including international economic relations. It is no secret that BRICS countries often have different approaches to solving some of the issues in the WTO and the G20. And that's OK, because each of our countries has its own national development features. But the fact that the "five" have made a decision in principle to seek to coordinate their positions is in itself a huge step forward. In practice, BRICS has entered a new stage. We do not combine our efforts against anybody, on the contrary, we focus on promoting a positive, unifying agenda in international relations. What does the BRICS represent for Russia and its economic life at the moment? What does this club give it? BRICS was originally conceived as a club of like-minded people, an association of equal people. The "Five" has long proved its viability and resilience to crises. Despite some decline in economic growth, the countries have remained attractive as one of the most promising global markets with a population of more than 40% of the world total. Within a short period of existence the association has achieved significant results: the New Development Bank, a contingency of foreign exchange reserves pool have been set up and are operational. We have managed to jointly form a common vision of economic and trade cooperation, the main objectives of which are fixed in the BRICS Economic Partnership Strategy. For Russia, the group countries have remained important trading partners. Despite the difficult economic situation, the external negative factors, Russia's trade with the BRICS countries showed an increase of 12.6% in physical volumes in the first half of 2016 compared to the same period in 2015. The BRICS are often blamed for the fact that they reluctantly move from declarative to practical work. Has this situation changed during Russia's presidency? I think that these accusations are completely unfounded. Creating a New Development Bank and the contingent of foreign exchange reserves pool of the BRICS countries is a clear confirmation of that. The Bank has already financed the first projects in the BRICS countries, and this is our common achievement. During Russia's presidency, on the economic track, we offered partners a comprehensive strategy for economic partnership, and a list of specific projects for joint implementation in a multilateral format. The economic Agenda for the "Five" has significantly expanded to new areas of cooperation. New projects have been proposed in the field of e-commerce, small and medium-sized businesses, and "single window" clearance. Cooperation in the field of intellectual property, services trade, and many others is actively developing. All the initiatives in the framework of the BRICS are "live", come from the business community and are aimed at achieving practical results. We are grateful to the Indians for preserving continuity and further development of the ground work of the Russian presidency. In particular, in the framework of implementation of the Strategy, the first Trade Fair BRICS will be held in New Delhi, on 12-14 October, which will be one of the most important events of the Indian presidency. What has the dynamics of the five-party trade been like since the beginning of the current year? Has the recovery after the recession begun? The recovery is gradual, of course, it is not as fast as we would like it to be. However, given the 26.7% decline in trade in 2015 in relation to 2014, the current minus 8.6% will definitely allow us to talk about some positive dynamics. Our partners are also experiencing difficult times. Trade with Brazil and India is mainly affected. But there are also positive aspects. The share of the BRICS countries in the total Russian exports in January-July 2016 was 12.2% and compared to the same period in 2015 it increased by 1.8%. Against the background of a general decline in Russian exports, there are growing foodstuffs and agricultural raw materials. Despite the decline in physical cost indicators, export of machinery, equipment and vehicles has increased. The share of the BRICS in world exports has been progressively increasing. Over the past 6 years, it has increased from 15% to 19.4%. If we want the trade turnover between our countries to enter the plus range, we must work together to ensure that the basic regulations in the BRICS countries are comparable and not very complex. The working group to eliminate excessive administrative barriers at the BRICS Business Council has been engaged in this. We need a unification of commodity nomenclature, and a harmonization of the procedures - this will simplify the customs administration. It is necessary to achieve mutual recognition of data in the field of technical regulation, and to simplify the visa process.